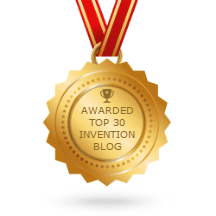 Note: We will be running a series of articles from the time when I wrote monthly columns for Entrepreneur magazine from inventors that have succeeded. While the entrepreneurs stories are dated, they strategies these inventors employed are still applicable today. Product Description: The Drinkwell is a pet fountain with free-falling water, a one-gallon-plus water reservoir, a pump and a charcoal filter for removing bad tastes and odors. The Drinkwell offers pets a daylong source of fresh water and has a suggested retail price of $49.95 to $74.95, depending on size. Burns initially got the idea because her cat, Buckwheat, would only drink running water from a faucet. Tired of getting up during the night to give Buckwheat a drink, Burns created the Drinkwell after observing a decorative desktop water fountain that seemed to offer a solution for faucet-drinking cats. Pets can be an important part of people’s lives, so it’s not surprising that every year, individual inventors come up with dozens of new pet inventions. But the days of the independent pet store are over–and nearly all small shops have been replaced by category-dominating stores like Petco and Petsmart. Inventors can enjoy big-time success once they learn how to penetrate the big pet-store chains. 1. Obtain strong patent protection. “I knew the key feature on the Drinkwell was the free-flowing water,” says Burns. “I started by reading the book Patent It Yourself by David Pressman. I wrote up much of the patent description myself, but I had an attorney write up the actual claim to be sure I had strong protection.” Burns’ protection paid off–she sold the product without competition from 1995 to 2001 and, even after a competing fountain was introduced by a major pet-products company, the Drinkwell held its sales level because she had the market’s only free-flowing water fountain. 2. Develop convincing proof the product will sell. Burns explains her sales success: “I started out in December 1995, selling directly to consumers through small ads in Cat Fancy, Cats and I Love Cats magazines. Then, in 1996, Hammacher Schlemmer called and wanted to carry the product, and Alsto’s Handy Helper catalog picked the product up at the end of 1997. In 2000, I started to promote the product in trade magazines like Pet Age and started to pick up independent pet stores.” Burns didn’t just have some initial success; she had $2.2 million in 2002 sales, which also included Petco sales of her product. 1. Manufacturing costs should be no more than 25 to 30 percent of the suggested retail price. Big retailers will want at least a 50 percent discount from the suggested retail price, and they will also want allowances, which are a percentage of their purchases–typically 2 to 6 percent–to cover the costs of damaged products and advertising. You won’t make any money if your manufacturing costs are greater than 30 percent of the suggested retail price. 2. Big retailers don’t take chances. Big retailers will rarely be the first companies to take on an inventor’s product. They want to see that the product has succeeded in several other outlets, including some retail outlets, before they will even put the product into a few test stores. 3. Hire professional help. An inventor’s lack of management skills is a severe problem to major retailers, as they won’t have confidence in the inventor’s ability to deliver. Paying for consulting help might cost money, but losing the business is an even bigger problem. If you don’t know who to contact for help, visit your local Small Business Development Center. 4. Inventors can succeed. Inventors have obstacles to overcome, but the market is always looking for unique products that customers want. Retailers will buy if you can prove your product is unique in the market and meets an important customer need. Even the biggest retailers will want your product if their customers are asking for it. Inventors who need engineering or manufacturing help can contact their local SCORE office, where you can find experienced executives who can suggest product improvements or cost-effective production methods. Log on to www.score.org to access a list of local SCORE chapters nationwide. If you only need a contract manufacturer, check out the Job Shop Technology magazine website. Job shops are firms that make small to midsize production runs for companies and often help with design assistance for new products. Job Shop Technology also has frequent regional shows where manufacturers looking for new products will exhibit.